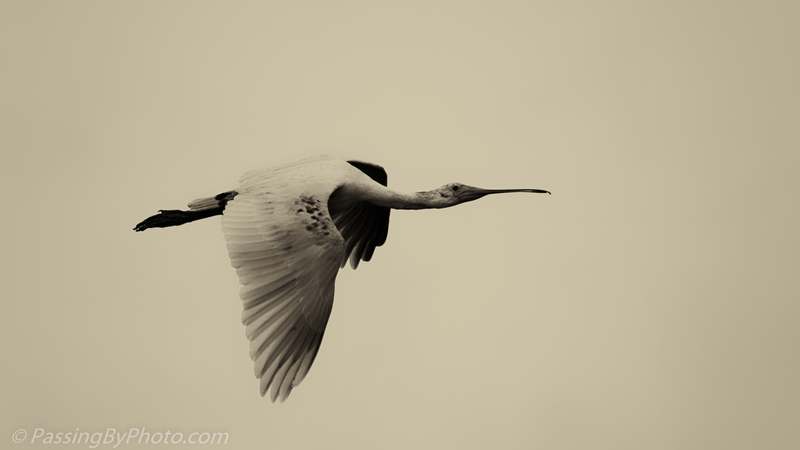 After taking too many Roseate Spoonbill in flight images with plain blue backgrounds, I tried a monochrome treatment for something a little different. I like the outline of the bird from beak to toenails but miss the pink. It has plenty of form Ellen, a nice alternative! A nice crisp shot but I do miss the pink too.